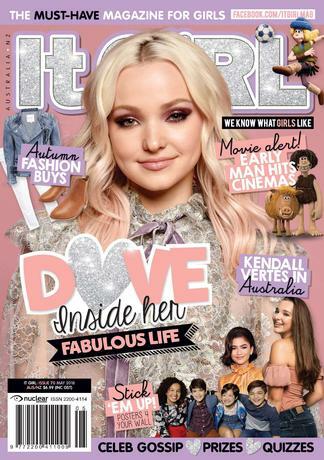 Fresh on the tween scene is It GiRL – the new must-have A5-sized magazine for girls 7 – 13.
and entertainment, as well as be provided with interactive activities and fun, lifestyle stories. PLEASE NOTE: Subscription copies do not receive promotional cover gifts. Orders for this title are non-refundable. It Girl is a awesome magazine my friend and I read it and when we get the gossip we love saying it to each other I don&apos;t know why people hate It Girl it&apos;s a awesome magazine to read.